Cayenne pepper (Capsicum annuum) is a spice made from air-dried fruits of the chili pepper family. It is a hot chili pepper used to flavor dishes. Cayenne pepper (Capsicum annuum) is a spice made from air-dried fruits of the chili pepper family. It is a hot chili pepper used to flavor dishes. This spice is named for the city of Cayenne in French Guiana. The fruits are dried and ground, or pulped and baked into cakes, which are then ground and sifted to make the powdered spice. Here are 7 health benefits of cayenne pepper. 1. Cayenne can help keep your eyes healthy. One tablespoon of cayenne in vitamin A with 44 percent of the recommended need. Vitamin A is known for improving one’s eyesight and preventing night blindness and macular degeneration from developing as we age. 2. Cayenne can help individuals fight infections. Cayenne contains 7 percent of the vitamin C daily requirements per tablespoon. Vitamin C is a powerful natural water-soluble antioxidant that helps the body develop resistance against infectious agents and eliminates cancer-causing free radicals in the body. 3. Cayenne is great for keeping the hair and skin vibrant and healthy looking. 4. Cayenne is potent when managing blood pressure. Per tablespoon, cayenne contains 106 milligrams of potassium. Also, cayenne contains very little sodium with only 1.6 milligrams per tablespoon. This combination with folate also contributes to the reduction of hypertension and relaxes blood vessels, while maintaining proper blood flow. 5. Cayenne is loaded with B-vitamin components. Cayenne is a good source of B-vitamin complex elements, riboflavin, and niacin. Niacin has been known to increase an individual’s “good” cholesterol and reduce the risk of cardiovascular problems. A deficiency of niacin leads to Pellagra - a disease characterized by diarrhea, dementia, dermatitis, and insomnia. Cayenne is also a good source of folic acid. It is necessary for aiding rapid cell division and growth, such as during infancy and pregnancy. A deficiency of folic acid in pregnant women can lead to the birth of underweight infants and may also result in neural tube defects in newborns. 6. Cayenne can assist in red blood cell formation. Copper and iron are essential for the new blood cell formation. A deficiency in iron can lead to anemia, fatigue, and muscular weakness. Folic acid also helps the body to produce healthy red blood cells and prevents anemia. 7. 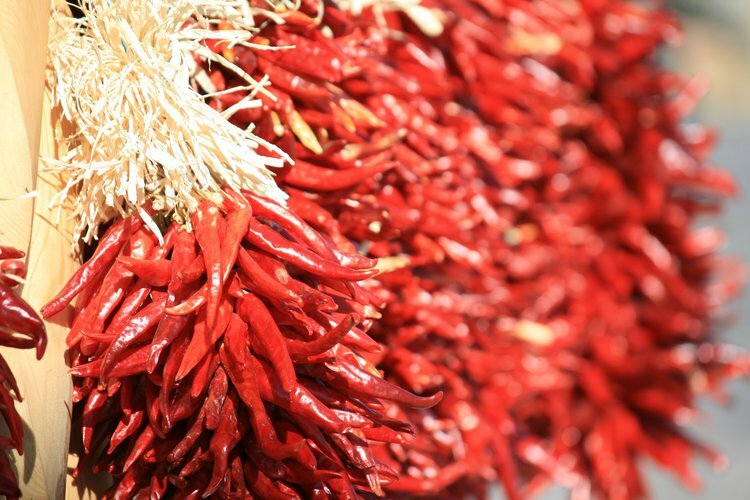 Cayenne can help improve cognitive functioning. The amount of iron in cayenne leads to increased hemoglobin production and increases blood flow. Proper amounts of oxygen and iron in the brain lead to improved cognitive performance and a decrease in cognitive disorders like Alzheimer’s disease and dementia.